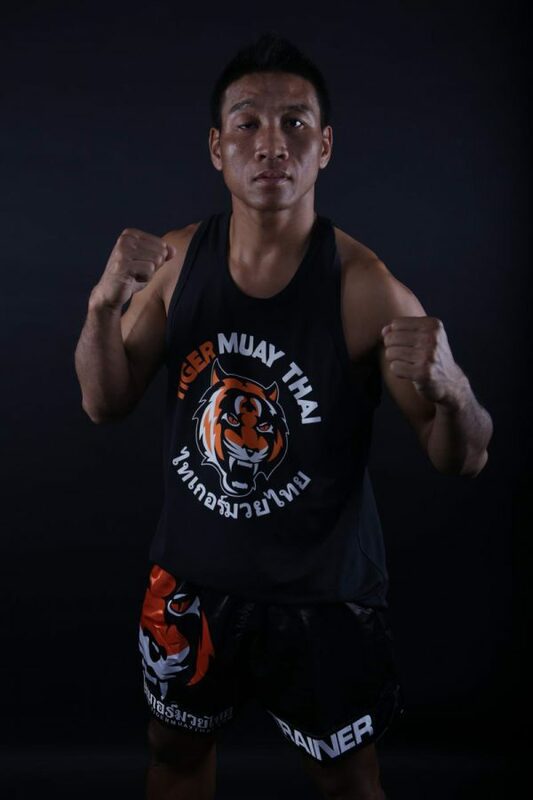 Born in Yasothon province, North-east Thailand, Robert started Muay Thai at 10 years old and quickly proved to be a great fighter. He moved to Bangkok to join the famous Kiatpetch gym and fought in all the biggest stadiums of the sport including Lumpinee and Rajadamnern (where he was ranked no 3 at 140lbs) and fought live on TV many times for Channel 3 and Channel 7. Known for his relentless walk forward style, Robert earned the nickname of “Terminator” and went on to compete internationally in England, Malaysia, China and Russia. Now retired from fighting after a knee injury, Robert transfers his intensity into his teaching of Muay Thai, pushing his students relentlessly to develop stamina and toughness.